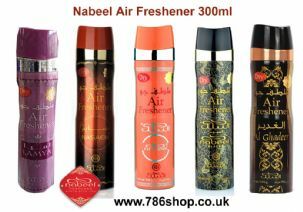 Nabeel aerosol room and air freshener has a blend of Nabeel Perfumes finest fragrances; good for refreshing your mood. 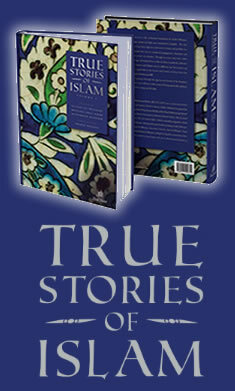 It is free from alcohol, safe to use and has multiple uses! 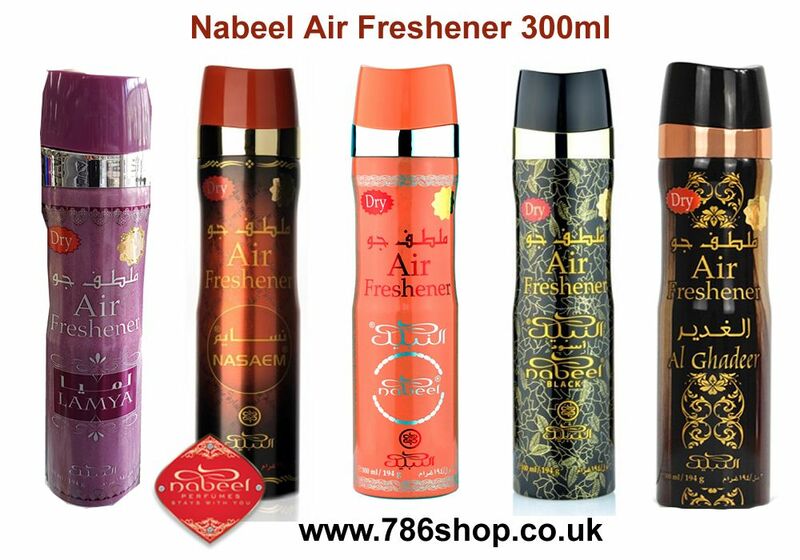 This Nabeel aerosol Room and Air Freshener can by Nabeel is intended for room; air freshening use only. 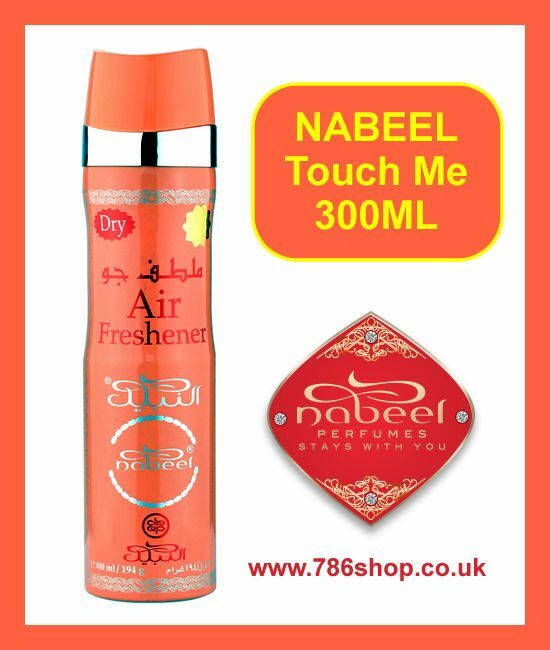 Famous Nabeel fragrance is used in this product. It helps in soothing and relaxing the mood. Comes in a aerosol can. 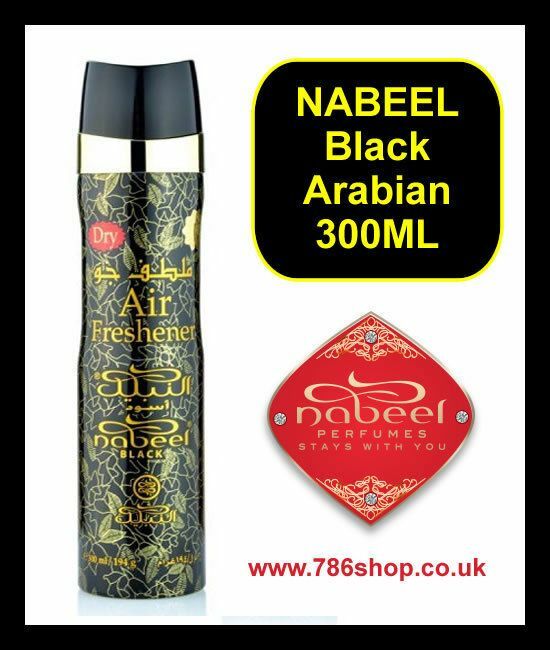 Nabeel Perfumes, Nasaem aerosol room and air freshener has a blend of Nabeel Perfumes finest fragrances; good for refreshing your mood. It is free from alcohol, safe to use and has multiple uses! 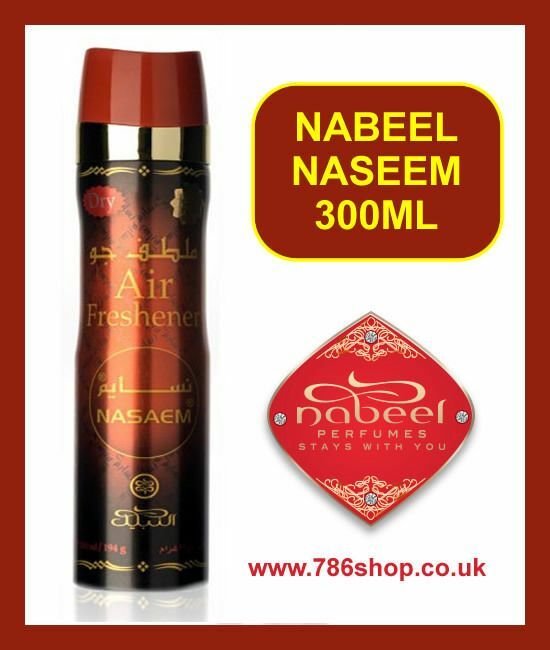 This Nasaem aerosol Room and Air Freshener by Nabeel is intended for room air freshening use only. Famous Nasaem fragrance is used in this product. Comes in a aerosol can.